Sony has lifted the veils on its two latest smartphones, the Xperia XZ and Xperia X Compact, at the IFA tech conference in Berlin. These devices round off a year of significant change in Sony’s 2016 smartphone portfolio, with the Xperia X range shaking things up back at MWC. But what are these new phones all about? To find out, I spoke with Don Mesa, Sony’s US vice president of marketing, on Thursday after the company announced its incoming Internet of Things, wearable and mobile product releases. The Xperia XZ and Xperia X Compact were announced at the end of the presentation. The compact model is part of the X series, a mid-range platform that Sony has used to streamline its portfolio and production. The best phone of this series is the X Performance, a Snapdragon 820-packing device with the hallmarks of a flagship. I asked Mr Mesa in two separate interviews earlier this year whether this new line meant the Xperia Z flagship series was dead. He said no, despite widespread reporting that it was. In this latest interview, Mr Mesa’s remarks on a smartphone lineup that appears confusing at first glance – it has two high-end devices with Snapdragon 820 processors – didn't provide definite clarification. What’s the deal, then? If the XZ is the real flagship, what was the logic behind releasing the X Performance? In which direction would Sony like customers to look? Although it’s not cheap, the X Performance is a solid all-rounder. But it didn’t seem like a worthy successor to the Z series, which was well designed but lacked the innovation and character of competing devices. So the Xperia XZ, with the same processor but a better camera, five-point image stabilization and classic Sony industrial design, is as premium as it gets. In fact, the XZ has some clear Z-line DNA in it. Mr Mesa didn’t deny this idea, saying the Z series wasn’t completely “retired” and wouldn’t be surprised if it came back “for its own purposes”. So Sony’s most important phone, the Xperia XZ, is a little bit of a Z phone. Or is it an X phone, too? “It truly is the blend,” Mr Mesa said. 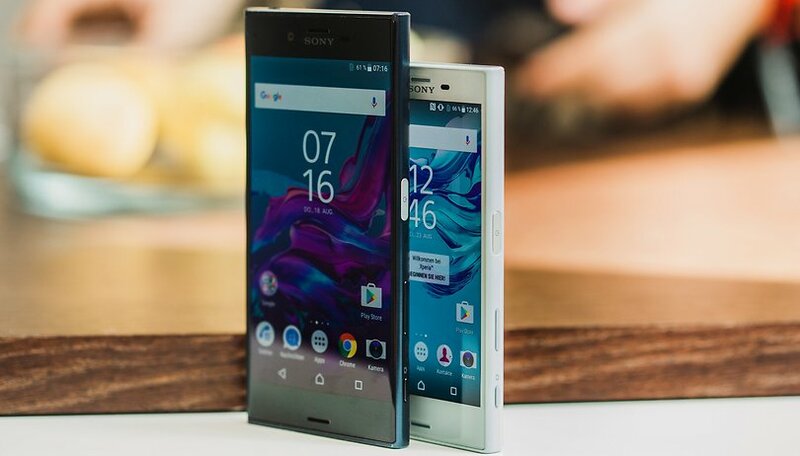 The Xperia XZ will be released on the US on October 23, while the X Compact will arrive a little earlier on September 25. Sony told us that pricing isn’t yet confirmed, but will be announced soon. Sony is dead. I no longer see their phones on the stores. No commercial channels and no customer service. In my opinion, for 2017 Sony should release all devices only in september during IFA. They could have something like XE ( to replace E5), XA2, XA Ultra 2, X2, X Compact 2 e XZ2. I like Xperia smartfones. I think the cycle should be yearly. I live in Brazil, you never see anything about Xperia on tv. They do not bring all devices here. Z1 compact, z5 compact and X Performance did not show up and no words on E5 so far. Many would buy a Xperia, but the price does not help. Z5 Premium is US$ 540 on ebay , it is something like U$1460 here . Sony needs better leaders. Their product range is confusing. 1. Stop releasing 2 flagships a year and just do one with other variants, similar to Samsung. There is no possible way to make such a significant improvement in 6 months to warrant releasing another flagship in the same year. 2. ADVERTISE! You can't buy a phone if you don't know it exists. My friends didn't even know Sony made phones when I have the Xperia Z3. They can't compete against Apple, Samsung, LG or even HTC if the product isn't being advertised. 3. Carriers, carriers, carriers. I know people like buying they're phones unlocked but the average consumer is not willing to drop $700+ on a phone or get a new payment plan on top of preexisting bills. Do whatever we has to be done to get their phones available through Verizon, AT&T, T-Mobile, and Sprint. Hey Jose, you make some very interesting points there. I agree that Sony could try to focus on fewer better phones. Some clever ad campaigns could also help a lot. I think Samsung overdoes it sometimes with advertising, but it has definitely helped them achieve global brand awareness. Sony already has a strong brand, but they haven't really made a mark in the smartphone space - a killer product would help them do that. Advertising without a killer product would be a little pointless.